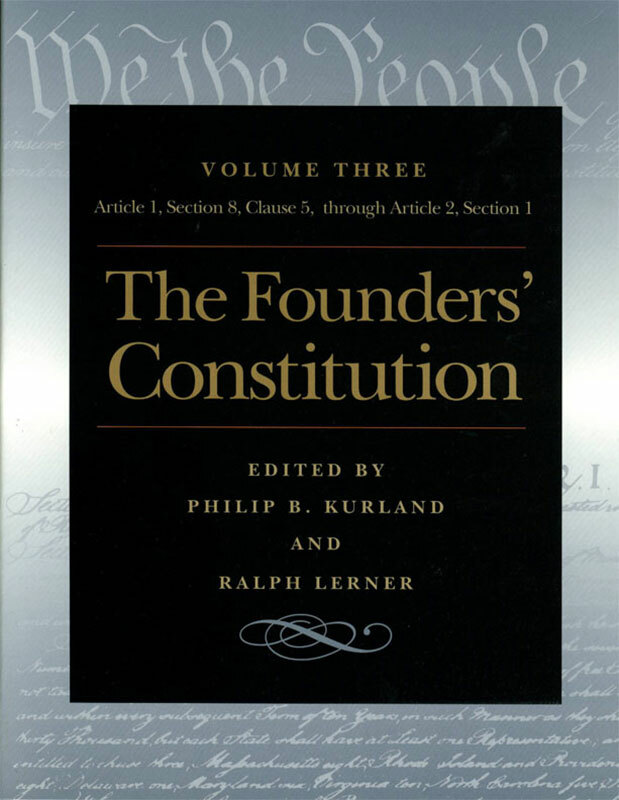 The documentary sources and inspirations of The Founders’ Constitution reach to the early seventeenth century and extend through those Amendments to the Constitution that were adopted by 1835. Philip B. Kurland was the William R. Kenan, Jr., Distinguished Service Professor in the College and Professor in the Law School, University of Chicago. Ralph Lerner is the Benjamin Franklin Professor Emeritus in the College, and Professor Emeritus in the Committee on Social Thought, at the University of Chicago. Reader's advisory, introduction, index of constitutional provisions, table of cases, index of authors and documents.